Tomorrow is officially the full moon, but today is the day I have decided to use the nearly-full moon energy and light a red candle, casting my moon intentions out into the universe. It’s kind of obvious what this sign is trying to convey. 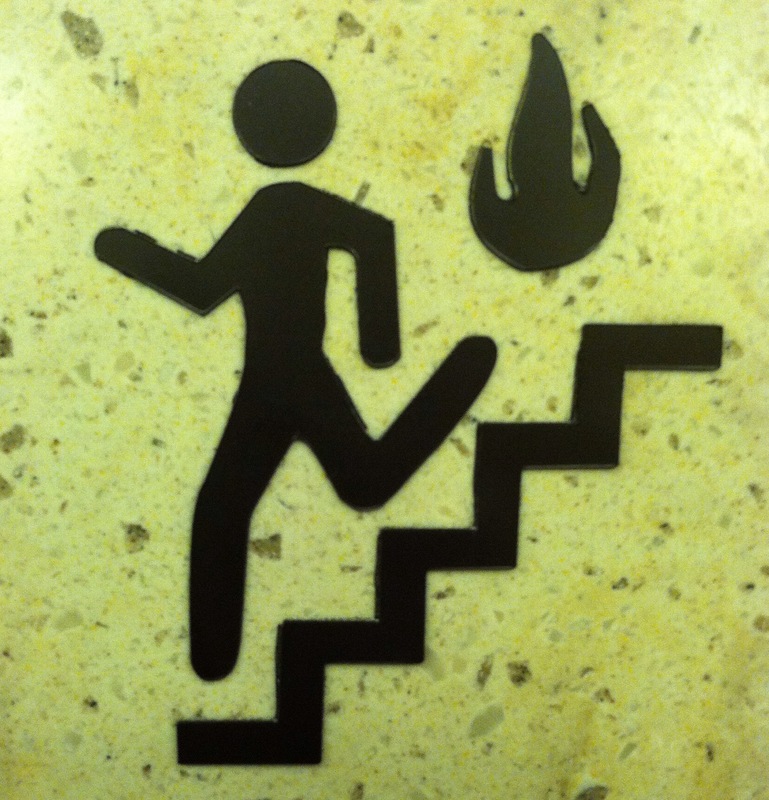 However, am I weird for thinking it looks like a man being chased down the stairs by a ghost or a flaming UFO?